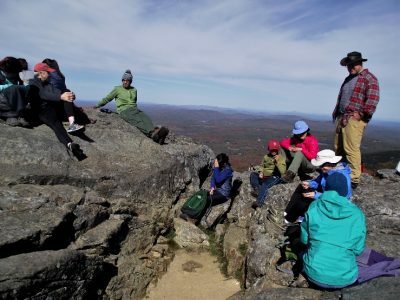 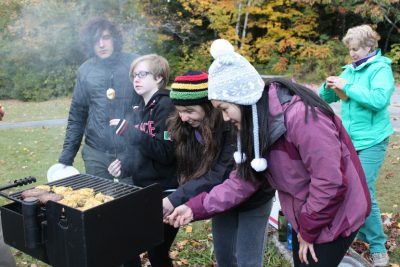 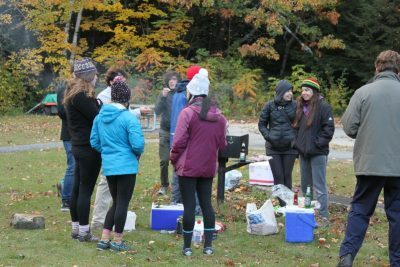 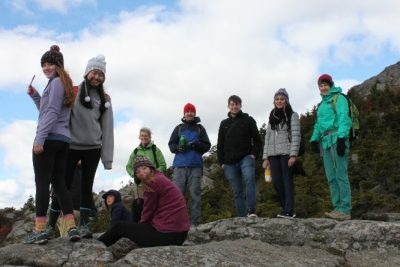 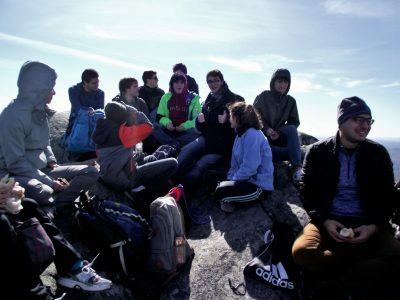 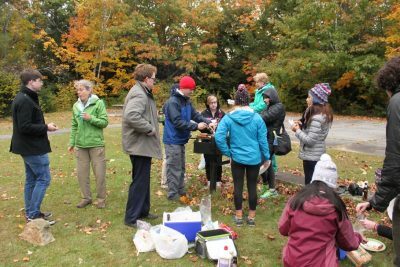 Each fall for the past decade or more, members of the UConn Physics Department have gathered one clear day near the peak of fall colors for a group hike up Mount Monadnock. 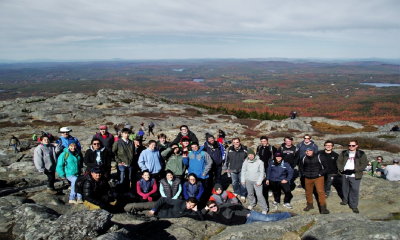 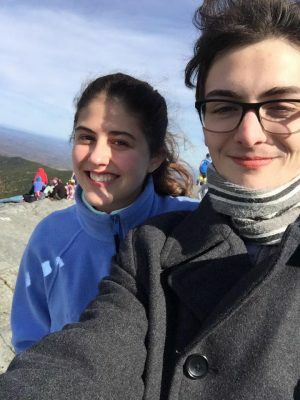 Located in the White Mountains of New Hampshire not far from Keene, Monadnock is well known for its accessibility to a wide range of climbers, and for its scenic views from the top. 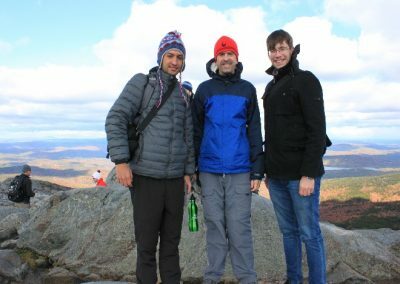 These factors help to explain why it is the most climbed mountain peak in the eastern USA, and one of the most climbed in the world. 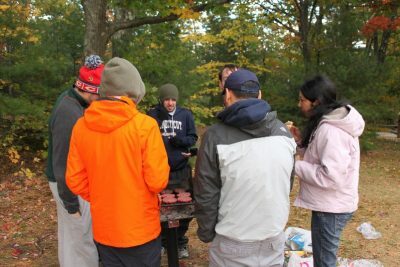 After the hike, the group gathers in a park near the base of the mountain to enjoy barbeque and some well-deserved rest.